Australian's Perth Mint opened in 1899 in response to the discovery of rich gold deposits in the Coolgardie and Kalgoorlie regions of Australia. Its initial purpose was to strike the new gold into British Gold Sovereigns. 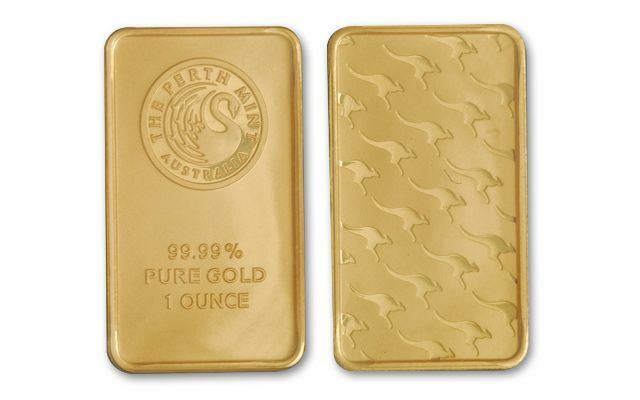 Today, the Perth Mint is the oldest operating Mint in Australia, and they're still striking Australia's gold into desirable issues like this One Troy Ounce Gold Kangaroo Ingot. 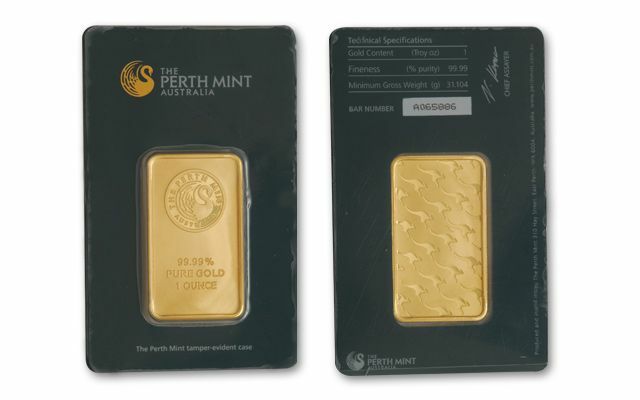 Each displays the mint's Swan logo and the ingot's 99.99% gold content on one side, and a series of hopping Kangaroos on the other. Each gold ingot comes in a tamper-proof CertiCard® security case listing the ingot's gold content, fineness, weight and individual serial number. It's a great way to own Australian gold!